Only two decades ago nearly 11,000 companies in the U.S. identified as petroleum wholesalers. Today, that number is below 4,000. Do a bit of simple math, and you’ll see that the industry is consolidating at a rapid rate of about one company per day. Global conglomerates like World Fuel Services and Parkland Fuel Corporation have spent much of the last few years gobbling up numerous companies, breaking into new markets, expanding their geographic footprint and diversifying their business portfolios. But consolidation isn’t just affecting the petroleum wholesale industry. Convenience retailers have begun seeing their ranks tighten in recent years as well. While there are the typical M&A heavyweights, such as 7-Eleven and Alimentation Couch-Tard, buying hundreds or even thousands of sites at a time, strong, mid-tier retailers-like Indiana-based Ricker Oil Company who recently sold its 56-store chain to Giant Eagle-are also getting in on the consolidation action. So, what are the driving forces behind the trend? On the petroleum wholesale side, major oil companies are simplifying their supply chain by offering better deals to fewer wholesalers who have the capacity to deliver more fuel. 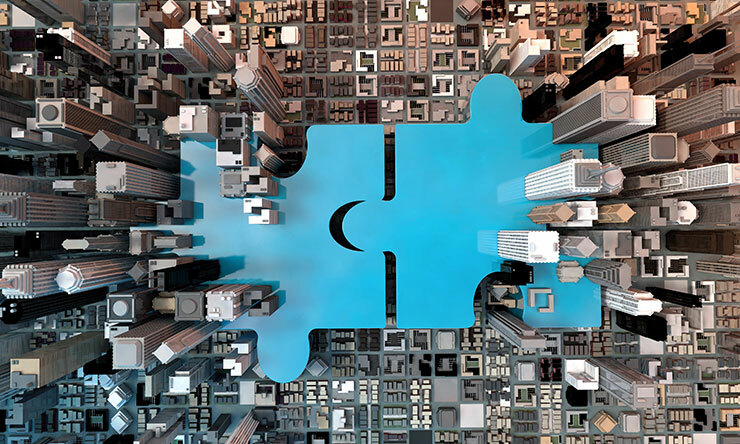 In an effort to secure these highly sought-after rates and contracts with the majors, many wholesalers are employing an aggressive acquisition strategy to remain competitive. In addition, the availability of information on commodity products creates pricing pressure that forces wholesalers to sell their products at the “best price.” Increasing the size of their customer base, combined with creating operational efficiencies through the use of technology, enables wholesalers to remain profitable. On the convenience retail side, strong economic growth is a major contributor to the consolidation trend. In fact, the convenience channel is one of the few retail channels that continues to produce year over year growth. According to the National Association of Convenience Stores (NACS), 80 percent of convenience retailers surveyed said in-store sales increased for the first six months of 2018 compared to the same time last year. To put it plainly, it’s a smart money move. Consequently, an influx of capital is coming from investors who traditionally weren’t interested in convenience retail, which is driving the increase in acquisitions we see in the market. In the age of acquisitions and conglomerate conquest, it’s easy to think that small and regional players can’t compete at the same level as their larger counterparts. Nothing could be further from the truth. Running an efficient operation that can effectively compete in the marketplace has little, if anything, to do with size and everything to do with fully exploiting the tools at your disposal. Whether you’re a petroleum wholesaler or convenience retailer, here are few things you can do to help level the playing field. Outperforming your competitors in customer service is an effective way to gain new customers and retain their loyalty, especially in today’s consumer environment. According to NewVoiceMedia’s 2018 Serial Switchers report, businesses are losing $75 billion a year due to poor customer service. That same report found that nearly 70 percent of consumers are willing to change brands if they have a negative customer service experience. Whether you’re ensuring your stores are adequately staffed during peak traffic times or that your wholesale customers are getting the products they need when they need them, customer service is a key differentiator for today’s consumer. Use it to your advantage, and build a lasting customer service culture and reputation by delivering exceptional experiences at every encounter. As a small or regional petroleum wholesaler or convenience retailer, technology is a great equalizer when going up against the big guys. ERP software automates time consuming manual processes and provides centralized operational control as well as valuable data that reveals consumer buying habits and enables you to build effective promotions. Fuel pricing solutions can help optimize pricing strategies and maximize margin. Lottery management software can reduce shrink and ticket inventory management effort, helping your employees focus on providing great customer service. The list goes on and on, and the opportunities are endless. Investing in technology now sets your business up for success in the future. Industry consolidation notwithstanding, studies have shown convenience store visits are declining. In fact, “(…) the c-store industry has experienced a decline of one trip per person per week since 2014.” Consequently, convenience retailers must find creative ways to get consumers to spend more during each visit. One way to accomplish this is by implementing a loyalty program that drives customers to your store and incentivizes them to spend more by offering savings and rewards. Another way to increase spend is by improving your merchandise offerings in the store. “In addition to replacing decreasing revenue from declining categories such as tobacco, convenience retailers need to invest in developing new, or improving current, revenue-generating categories.” If you’re wondering where to start, investing in foodservice, which has experienced phenomenal growth and adoption over the last decade, would be an excellent place to begin. As petroleum wholesale and convenience retail companies continue diversifying their businesses, the software and service providers upon which they rely to run their operations have to evolve to meet their needs. Over the past two years, PDI has made significant investments to expand our global footprint and solution portfolio, enabling us to better serve our customers and address the complex business needs of the supply chain. Today, more than 1500 companies rely on PDI to help transform their business. Contact us today, and see if we’re the right partner for you.